A United States Senator is announcing two new Acts that will push Congress to take action to ease the burden of debt on students. In a press release issued by Senator Rob Portman’s office on Tuesday, the millions of middle-class families across the country affected by wages that “haven’t recovered from the recession” and the rising cost of living, are recognized. According to Senstor Portman, one of the fastest growing expenses for middle-class families is the rising cost of going to college. Statistics from the federal Department of Labor, show the price of college tuition grew by nearly 80 percent from 2003 to 2013. That’s nearly twice as fast as the growth in costs in health care—another of those costs that are making middle-class families feel squeezed, Senator Portman’s office noted. Officials explained that as a county, we now spend more of our income on higher education than ever before, and nearly two-thirds more than the average in the industrialized world. 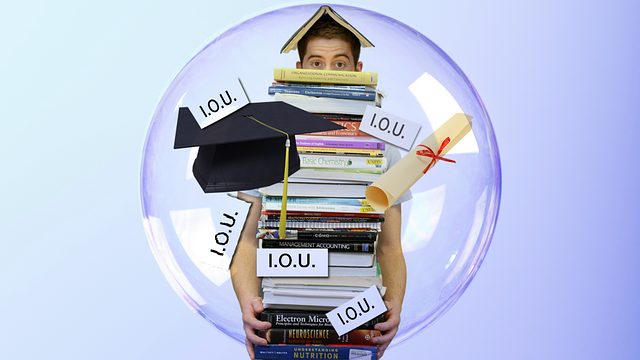 Reports indicate, Americans owe more in student loan debt—$1.3 trillion—than we owe in credit card debt, a fact that would have been unthinkable just 20 years ago. And with nearly $30,000 owed per student for new college graduates, Ohio has one of the highest student loan burdens of any state in the country. Senator Portman points to these numbers as a leading reason for many talented children deciding to avoid college. And, according to the Senator, for those who pursue higher education the student loan debt burden is weighing on their minds. The release noted the derby even hinders graduates from buying homes, cars or even getting married or having kids. With that said, Senator Portman is placing the task of solving this problem on the broad shoulders of Congress. “I supported the bill that ultimately became the bipartisan law that kept student loan rates from going up in 2013. It was important legislation because it lowered and stabilized the loan rates of 11 million Americans and saved the average college undergraduate $1,500,” Senator Portman explained. The Senator appears passionate about the issue as he details, in length, his additional thoughts and plans to take on the situation. 1.) The, Go to High School, Go to College Act.